Americans are often described (and describe themselves) as dreamers. But what happens when your dream runs smack into reality and fizzles out? You might end up as a crackpot curmudgeon, blaming your failures on the government, or foreigners, or politically correct liberals, or women, or the vagaries of history, or other enemies of your freedom to do as damned well please. And feeling your life has been made miserable by subversive forces beyond your control, you might in turn make life miserable for some of those within arm’s reach. Meet Franklin Pierce Anderson or “FPA” (1856-1932) of Epworth, Iowa, as presented by his grand-daughter, master story-teller Ann E. Berthoff, who in turn has access to the often embittered letters written to her by FPA’s son Benton Rees Anderson, prime target for the old man’s cantakerousness. 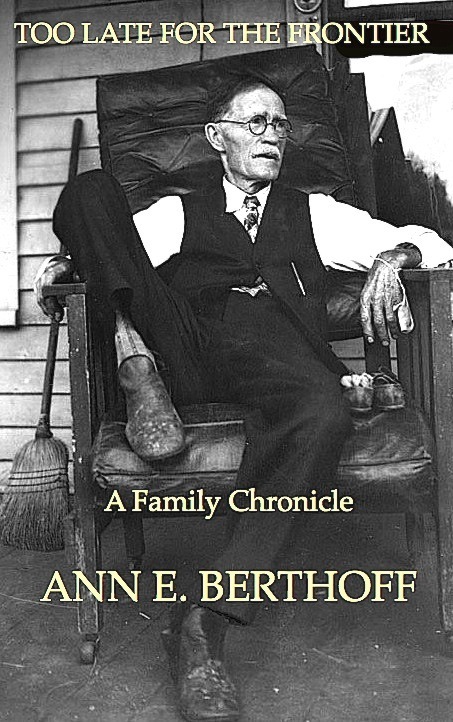 By judiciously selecting from these remarkable letters her uncle wrote her during the famous Iowa Blizzards of 1975-76, as well as from other sources, Ann Berthoff skillfully weaves a chronicle of her grandfather’s corrosive stubbornness and self-righteous folly, and its impact on those around him. But if FPA is a prize-winning American Curmudgeon, Benton Rees Anderson emerges from Berthoff’s account as a remarkable American storyteller in his own right, with a sharp eye for the dramas of family life, a muscular prose style, deft analytical skills, and a matchless memory for detail—as we tend to remember insults more vividly than we do praise. Benton was a cultivated man, a teacher, college-educated at a time when few rural American boys—and fewer girls—went past high school. So, inevitably, Benton himself becomes a character in this story. And if writing well is the best revenge, FPA, warts and all, leaps off the page as Benton’s chief creation. Fenway Press is delighted to bring you this complex American family chronicle. NOTE: This is a limited edition. To reserve your copy, write to david.gullette@simmons.edu $16 includes shipping.